Everyone thinks about crocheting for Christmas but there are so many other holidays that are perfect to showcase your crochet. Halloween is a great choice for crafting. You can make original Halloween decorations to add some spooky adorableness to your home inside and out. 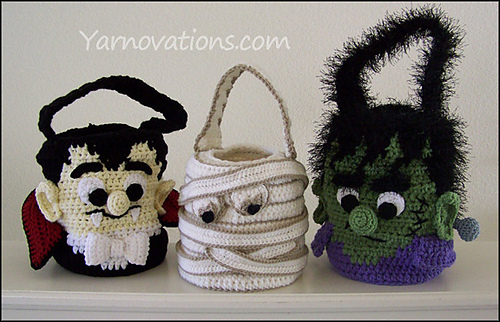 You can also use crochet to make Halloween costumes–or to add a personal touch to store-bought costumes. 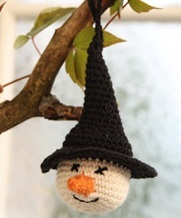 Whether you want to go really cute or really creepy, one of these Halloween crochet projects will be the right one for you. One of the first things that comes to mind when we think about Halloween is the jack-o-lantern and the pumpkins created to make it. 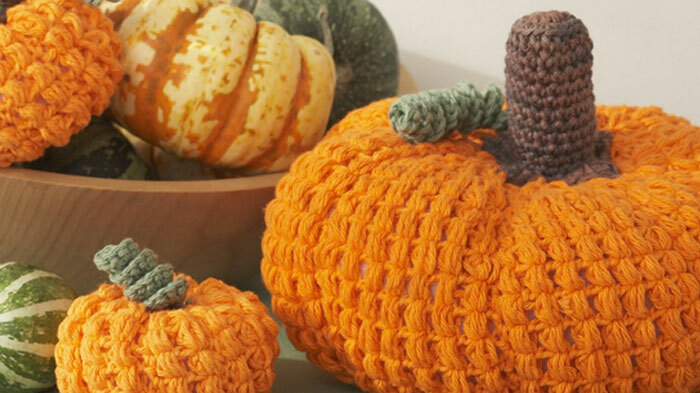 Save yourself all of the mess of carving out real pumpkins and crochet up some adorable crochet pumpkinsinstead. This free pattern comes in three sizes so that you can make pumpkins for desks, tables and mantles; make a stack of them at your front door, too! Crochet Pumpkins from The Slanted Life. 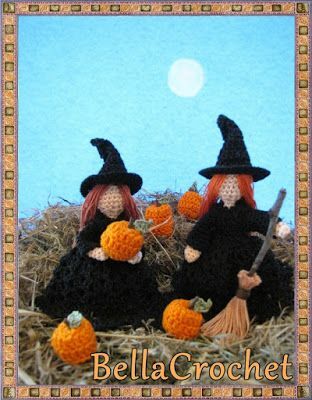 You’ll find the classic Halloween pumpkin represented in this crochet bunting pattern along with other common Halloween symbols like a ghost and a black cat. This is fairly simple bunting to make since the motifs themselves are all matching triangles; the details in the faces are what make each motif stand out from the others. Hang the bunting from a shelf to bring Halloween into any room of your home. This Frankenstein crochet bag is designed as something that you can take trick-or-treating but it’s also a cute accessory to use as a purse throughout the Halloween season. Have fun making it and using it! Looking for something a little less cute and a little more on the creepy side? How about this crochet spider candy dish? 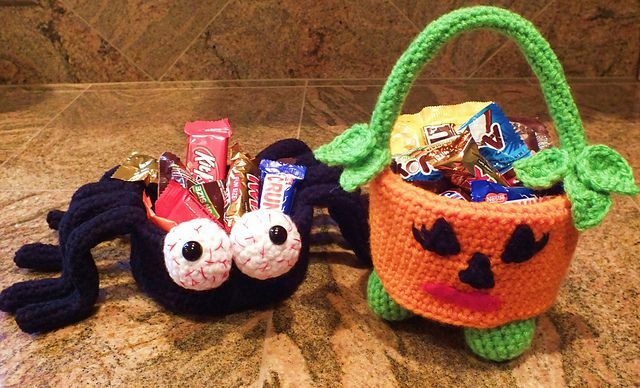 It also comes with a pumpkin crochet Halloween basket that is a bit more traditional for trick-or-treating. Put your amigurumi skills to use making this crochet doll inspired by the character from The Nightmare Before Christmas, which is always a popular movie to watch during the Halloween season. This is a truly unique Halloween crochet costume sized for toddlers. It consists of a sweater made using candy corn colors then decorated with creepy appliqués of eyes for a play on the pun “eye candy.” This free crochet pattern includes a hat to match. A crochet cocoon is the perfect costume for baby’s first Halloween. It keeps your little one all warm and snuggly if you are outside trick-or-treating during a chilly October evening. This cocoon, inspired by the popular book The Very Hungry Caterpillar makes a fun, colorful, cute choice that will make everyone smile and hand out those extra treats! Harry Potter House Scarves from Food Fun Family!